In 1996, the threat of the Seahawks moving to Southern California was real. The franchise needed a knight in shining armor to save it. 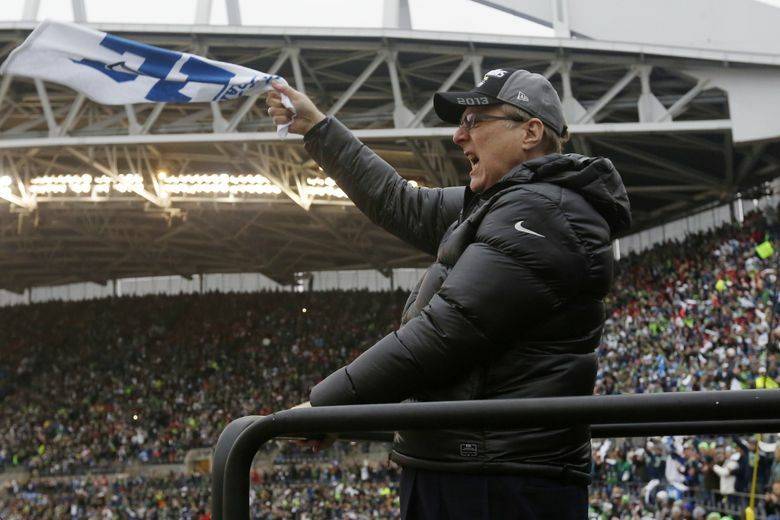 For the Seahawks, the knight was Paul Allen. “There was no Plan B," King County Councilman Pete von Reichbauer said. There were moving vans. There was despair and hopelessness. Team employees cried at their desks. In 1996, the threat of the Seahawks moving to Southern California was very, very real. In fact, for a brief time, they did move, setting up shop in Anaheim, where players conducted their offseason workouts at the Rams’ old facility. The franchise, just 20 years old at the time, needed a knight in shining armor to save it — just as the Mariners had a few years earlier. For the Mariners, it was Nintendo owner Hiroshi Yamauchi, who bought the team in 1992 to thwart a move to St. Petersburg, Florida. 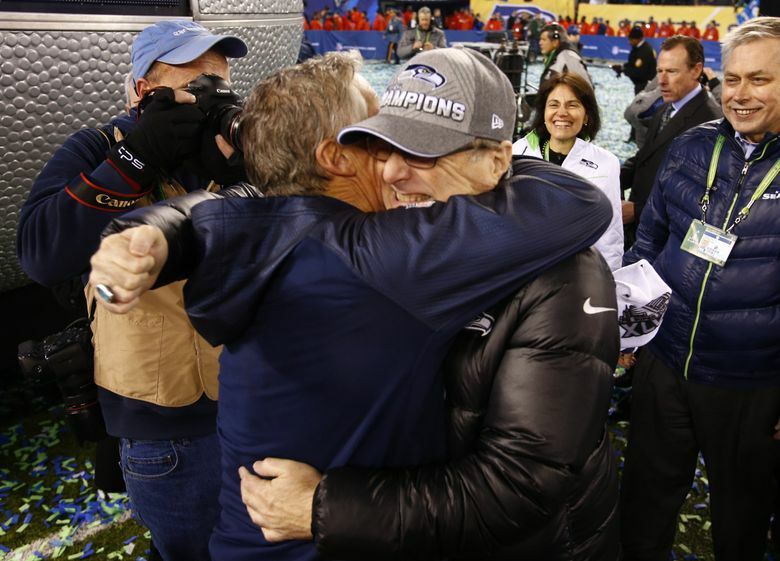 For the Seahawks, the knight was Paul Allen. 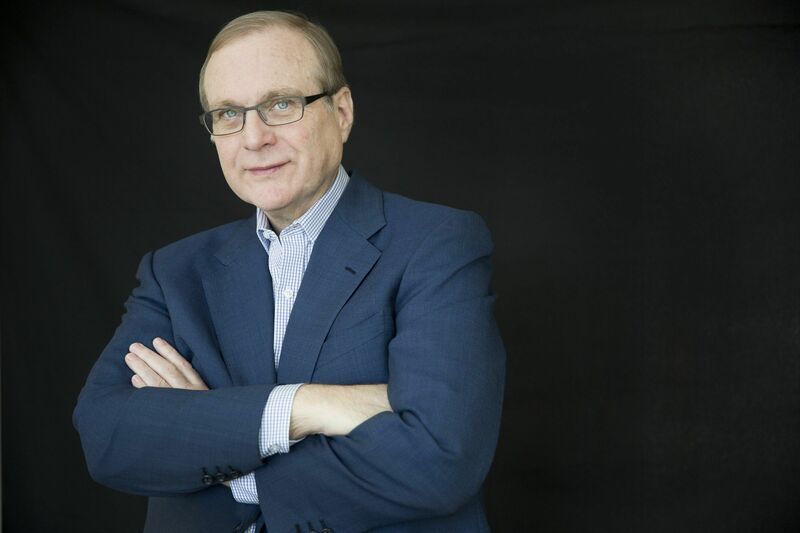 Word of Allen’s death Monday at age 65 brought with it well-deserved accolades for his co-founding role in Microsoft, for his philanthropic endeavors, for his music passion and numerous other ventures. “He lived in one year a thousand lifetimes,” von Reichbauer said. But it should never be forgotten that without Allen’s initially reluctant (and fraught) entree to purchase the Seahawks, there are no Beastquakes, no Legion of Boom, no deafening 12s and no Super Bowl parade. Quite possibly, there is no Sounders franchise, either, at least not in Major League Soccer. 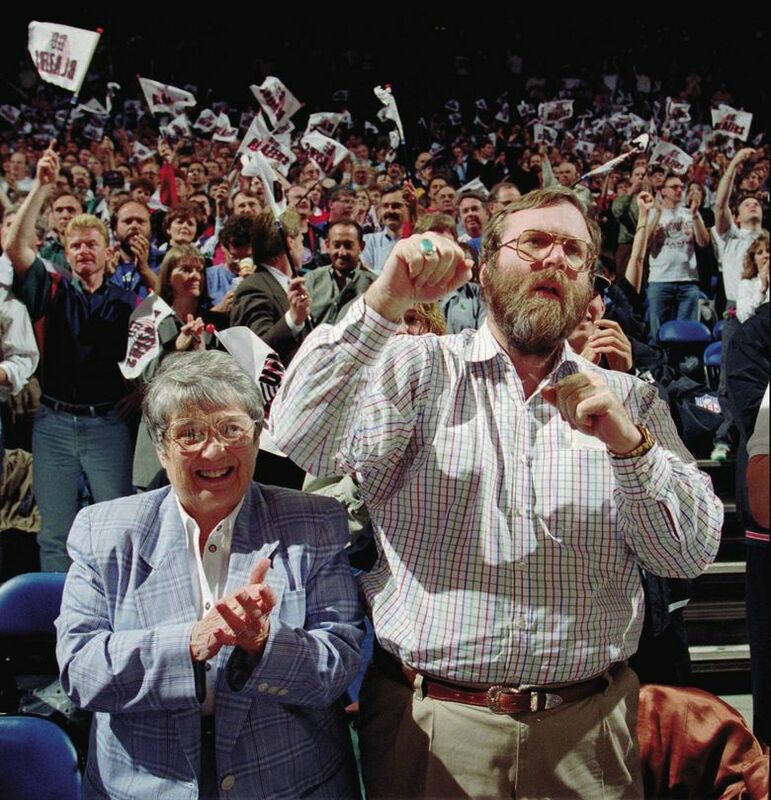 It was an odd turn for an intensely private man whose sporting passion was basketball, leading him to buy the NBA’s Portland Trail Blazers in 1988. Growing up in the Wedgwood neighborhood in Seattle, Paul and his father, Kenneth, a librarian at the University of Washington, attended Husky football games together, but NFL ownership was not on his radar. That changed in February 1996, when Seahawks owner Ken Behring stunningly announced he was moving the team to Anaheim. Moving vans arrived at team headquarters in Kirkland to transport equipment to Southern California. Those plans were quickly halted by the threat of a $500,000-a-day fine by the NFL and lawsuits from the city. Yet without an owner emerging, the feeling was that Behring would get his way. Von Reichbauer acted as the liaison between the city and Allen’s representatives. It had become quickly apparent that Allen was the only person with the financial wherewithal and local ties to pull off the Hail Mary and save the Seahawks. Allen was wary of being used as a wedge by Behring in his dealings with Los Angeles and had to be convinced that the team was genuinely for sale. “The biggest thing I had to fight was his distrust of Ken Behring,” von Reichbauer said. In the end, Allen jumped in more out of civic obligation than love of football, though that love would develop as the Seahawks became wildly successful under his regime. Allen agreed to be the frontman for Seahawks ownership, but with a proviso: He’d purchase the team only if the public approved funding for a new stadium — a statewide vote that was in doubt right up until Election Day, when early returns from Eastern Washington were dire. Von Reichbauer remembers getting a call from Allen early that night thanking him, no matter which way the vote went. 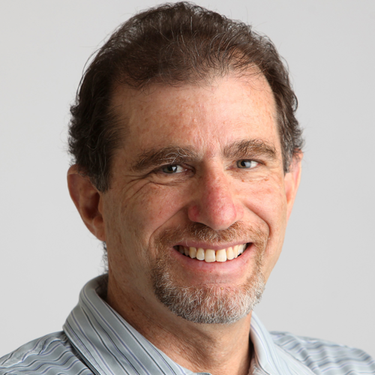 Two factors are believed to have eventually swung the narrow passage of the stadium measure. Buoyed by returns from King County, it squeaked by with 51 percent of the vote, ensuring a taxpayer contribution of $300 million for what would become CenturyLink Field, with Allen paying the remaining $130 million, plus overruns. One was the belief that the new stadium would not only save the Seahawks but pave the way for an MLS expansion team. The other was the television commercial in which Allen pushed back against rumors that he would buy the team even if the stadium measure failed. The stadium that resulted in 2002 — which Allen directed to be designed acoustically to replicate the deafening Husky Stadium of his youth — is part of his legacy. So is the reign of coach Mike Holmgren, who brought the Seahawks to their first Super Bowl, and coach Pete Carroll and general manager John Schneider, who led them to two more, including the title in the 2013 season. By all accounts, Allen has the perfect attributes of an owner — the commitment to supply all the resources the franchise needs to compete, coupled with the willingness to let his football people do their jobs without meddling. Oh, Schneider would compile a report after each game for Allen, with an evaluation of players and a variety of notes. And when Allen attended a game, he would seek out Carroll beforehand to get a feel for the game plan and the team’s mood. But for the most part, he was hands-off, except for the wallet he opened to lure top free agents and provide first-class facilities. Mostly, though, Allen’s sporting legacy in Seattle is the unity that the Seahawks have brought to the region. 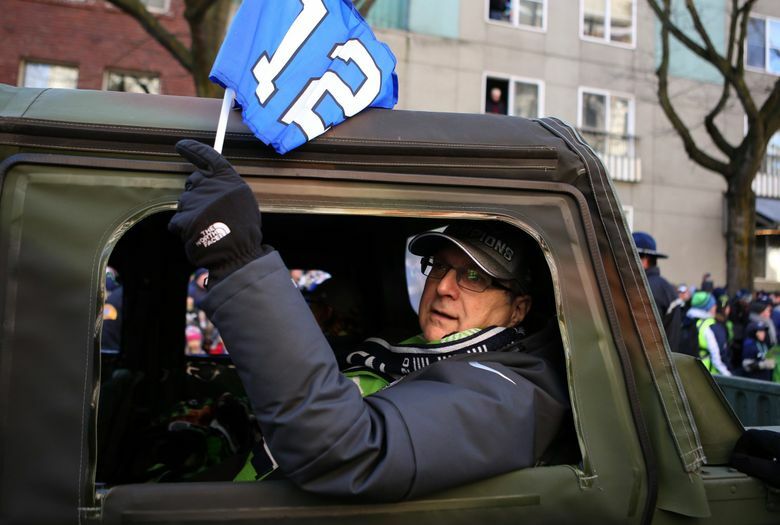 As von Reichbauer points out, after the Super Bowl triumph in New Jersey you could walk the streets of Seattle and see first-generation families from India, Eastern Europe and Asia all wearing Seahawks gear.